When John Lewis got in touch about working with them, I jumped for joy with excitement. As one of the most loved and respected independent retail stores in the UK, it’s a brand synonymous with quality and luxurious but affordable offerings aimed at all stages of life. 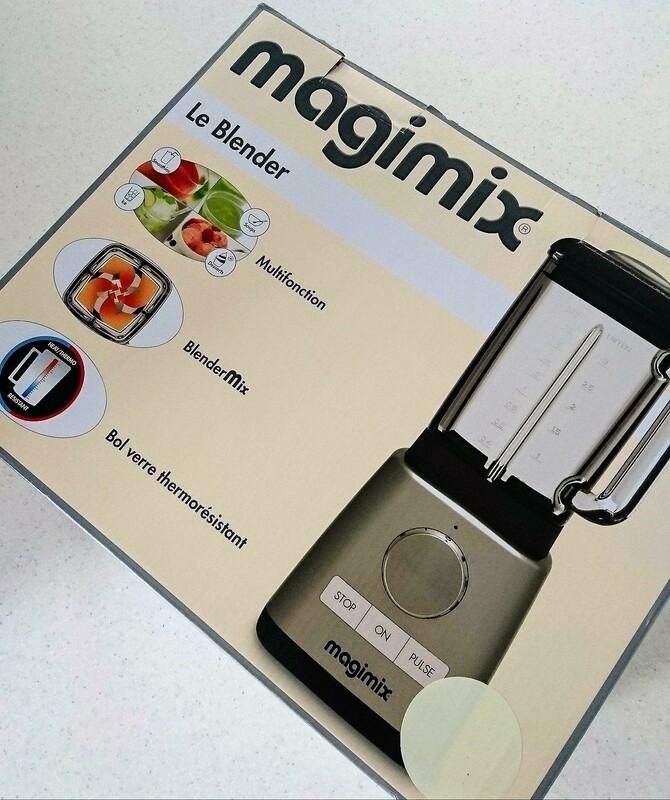 For the project, I was sent a beautiful Magimix Le Blender to show how this kitchen staple can be used for more than just making smoothies or juices; in this case, utilised to create a delicious dessert recipe. 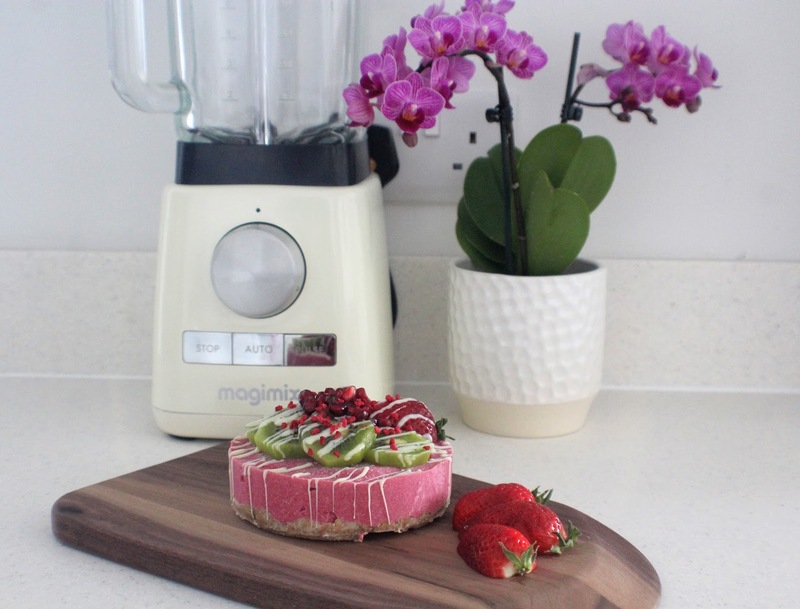 When it comes to my recipe development work, I’d be lost without a gadget that is able to blend and whizz up all kinds of ingredients – from vegetables and fruit, to brownie mixes and raw cheesecakes – so I was keen to see how the Magimix fared. One of the main selling points of the model (as well as looking slick and modern) are its automatic pre-set functions for soup, smoothies, frozen desserts and crushed ice, making it easy to just press a button rather than work out confusing settings. The pulse setting is ideal for extra control if you need to stop and start, depending on what you’re making. I was surprised how quiet yet powerful the blender is, even when whizzing up and breaking down solid and tough ingredients like nuts and dates. The heat-resistant Borosilicate glass jug 1.8L capacity means there’s plenty of space, plus the watertight lid helps to prevent any nasty leakages. However I found it a bit of a challenge to wash the bottom where the blade sits – although it recommends to fill the jug with water and washing up liquid after use and giving it a blend to help rinse which was a helpful trick! So let’s get onto the recipe. 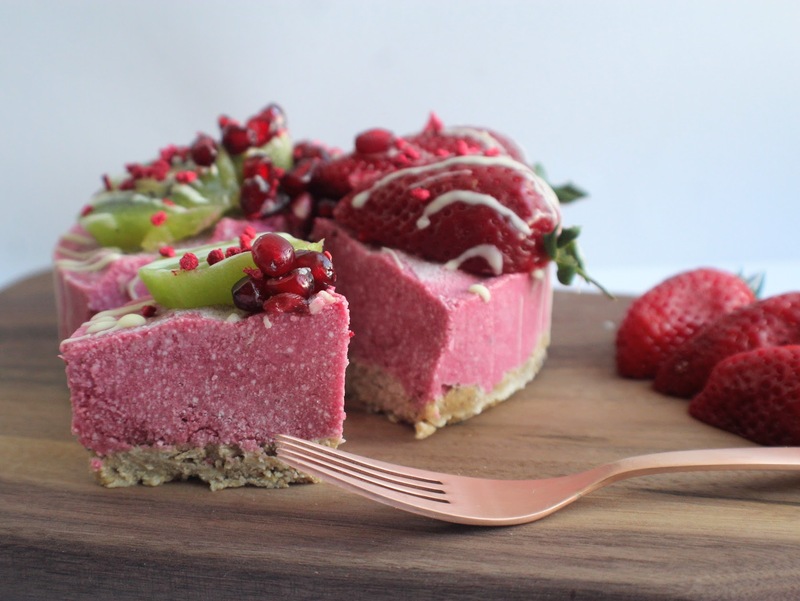 With summer fast approaching I thought I’d create a healthy, simple but stunning dessert which would work wonderfully served up for family or friends to finish off a meal. The Magimix Le Blender worked a treat to make both the base and ‘cheesecake’ mixture meaning minimal effort is required – always a bonus! This recipe can also be easily adapted to be vegan, dairy-free, gluten-free and no refined sugar..
First make the base: Place the dates, almonds and oats into the Magimix Le Blender and use the Pulse setting to grind down. This will take a few goes – be patient! You should end up with a ‘dough’ that comes together. Tip this into a 20cm loose-bottomed round tin and press down with your fingers to cover the base evenly. 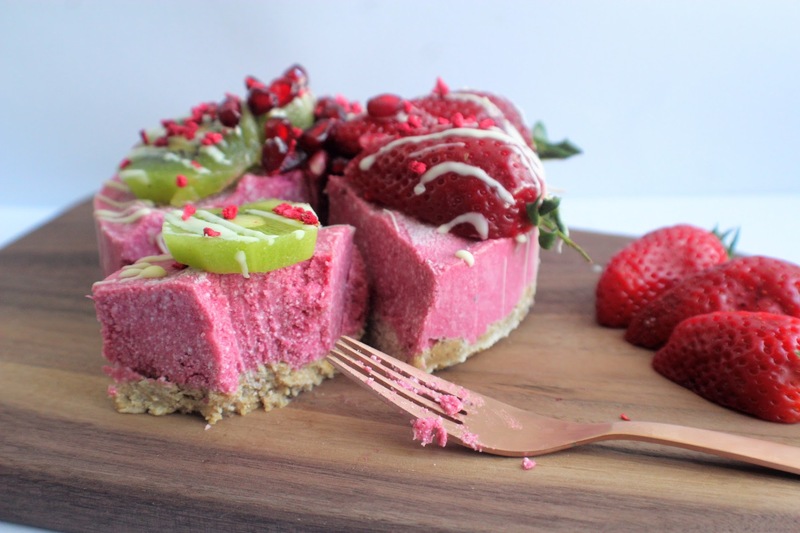 Place in the freezer while you make the cheesecake filling. Drain the soaked cashew nuts and place back in the clean Magimix Le Blender jug along with the coconut milk, lemon juice, berries (make sure there are no stems or stalks! ), melted coconut oil, maple syrup and vanilla. 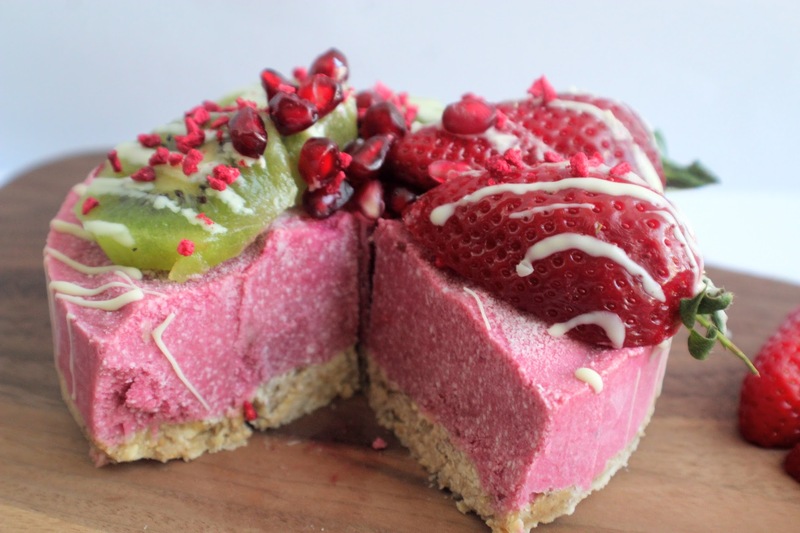 Use the frozen dessert setting – I found this worked a treat to achieve a smooth consistency. Pour this on top of the firmed-up base and place back in the freezer for at least 4 hours to set. When you’re ready to serve, remove the cheesecake from the freezer 5 minutes beforehand. 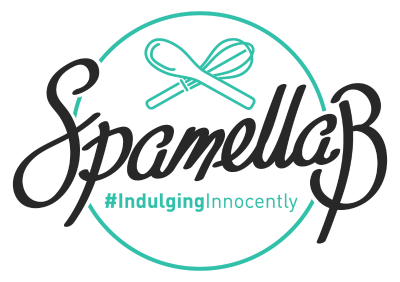 Carefully remove from the tin and place onto a serving board. 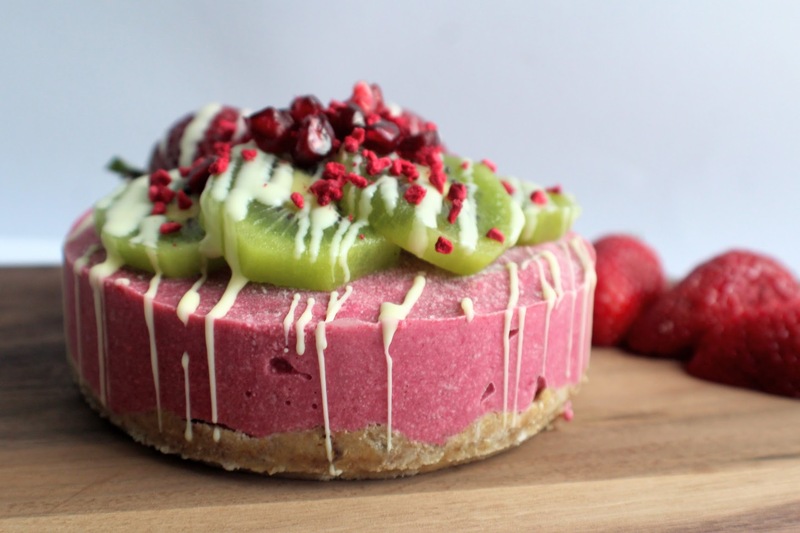 Decorate with your choice of fruit and melt some white or dark chocolate then drizzle over. 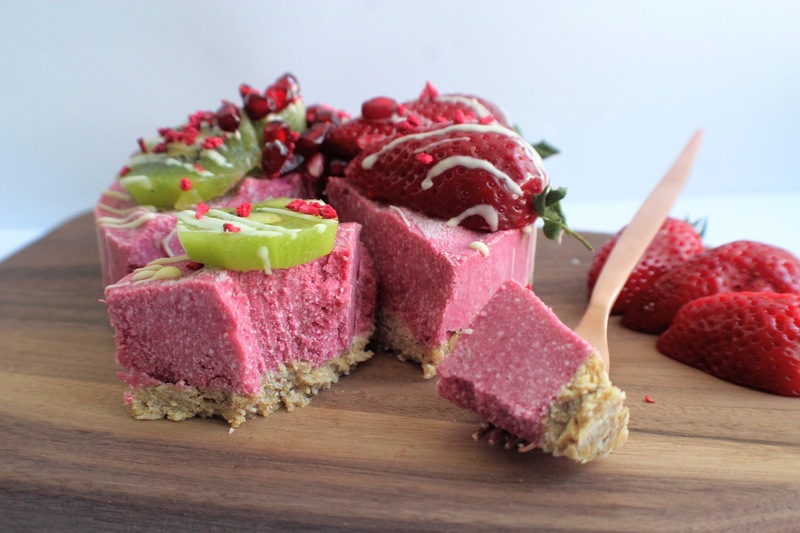 Slice up, serve and enjoy!Keep any remaining slices in the freezer for up to 2 weeks. Thanks to John Lewis for this opportunity to work in collaboration with them. 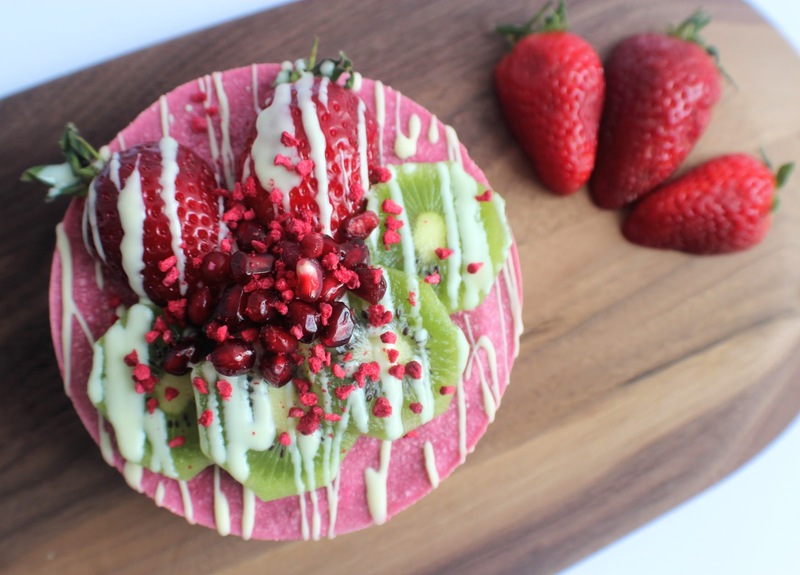 Check out the range of blenders here and smoothie recipe inspiration here. Top Tips For Boosting Your Nutrients with Alive!